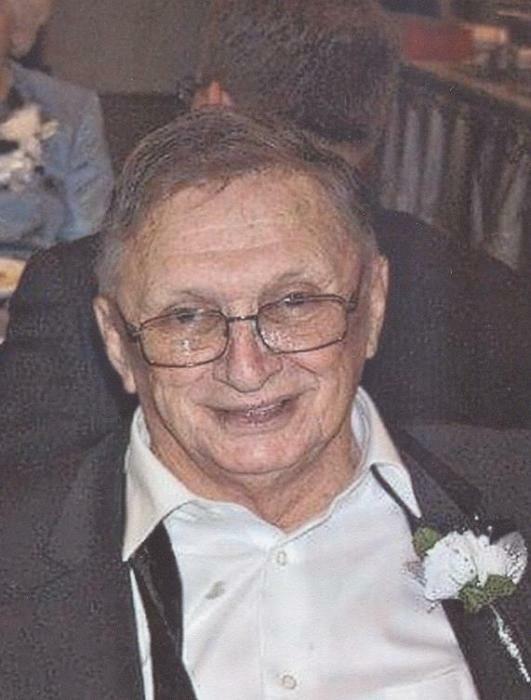 Larry Nelson Detling, 78, of Somerton, Ohio passed away on Sunday, June 3, 2018 at Barnesville Hospital. He was born in Somerton on December 22, 1939 to the late Ernest Earl and Olive Pearl (Smith) Detling. He was a member of Pleasant Ridge United Methodist Church where he was a trustee. He was a member of the Barnesville Masonic Lodge #89 F&AM and Barnesville Order of the Eastern Star Chapter #206. He was retired from Ohio Department of Transportation. He had worked for Consol, ran a dairy farm, and most recently had sheep and goats enjoying his retirement. He also loved driving his Amish friends around. He had a group of friends who met everyday at the Malaga BP. He enjoyed collecting spoons from around the world. After retirement, he enjoyed his grandchildren, and wood working, making furniture for the family until he was unable to any longer. In addition to his parents, he was preceded in death by his wife of 59 years, Carol Ann (Britton) Detling who passed on May 7, 2017; a son, Larry Jay "Bo" Detling; a brother, Richard Detling; a sister, Betty Phillips. He leaves behind daughters, Debra Anderson of Barnesville, Dana (Dennis) Welch of Barnesville, Dyann (Richard) Kinney of Jerusalem, and Crystal (Bill) Scatterday of Logandale, Nevada; brother, Robert Detling of Uniontown, Ohio; grandchildren, Chris (Shanna) Anderson, Danielle (Jeremiah Holskey) Anderson, Quentin (Jennifer) Castello, Adam Detling, Cody Detling, Kayla (Cris) Landefeld, Jennifer Gahagan, Kyle Carpenter, Ryan Kemp, Stephanie (Andrew) Ellis, Jordan Kinney, Jerrod (Kaitlin) Kinney, Dustin Stottler, Katrina (Kolby) Nelson, Bria Scatterday; great-grandchildren, Logan Anderson, Dustin Anderson, Kolton Castello, Rilee Lucas, Hobie Howiler, Bo and Brooklyn Detling, Kinsley and Carson Landefeld, Tyler Gahagan, Thomas, Mila and Claire Ellis, Drew Holskey, Austin Holskey, Jordyn and Kalin Holskey, and baby Kinney on the way. Visitation will be held on Thursday, June 7, 2018 from 3 PM until 7 PM at Campbell-Plumly-Milburn Funeral Home, 319 North Chestnut Street, Barnesville, Ohio. Following visitation, a masonic service and eastern star service will be held followed by the funeral service with Rev. Tom Detling, Pastor Richard Cox, and Rusty Atkinson officiating. Larry will be buried beside his wife, Carol, at Somerton Southern Cemetery. In lieu of flowers, memorial contributions may be made to Campbell-Plumly-Milburn Funeral Home, 319 North Chestnut Street, Barnesville, Ohio 43713 c/o Larry Detling.